VALENCIA, Calif., December 12, 2016 -- Luxury travel brand Cunard has partnered with the Wine & Spirit Education Trust (WSET), the world’s largest provider of wine and spirits qualifications, to launch the first ever WSET certified wine and spirit courses to be available on its flagship ocean liner Queen Mary 2. Guests aboard Round World Voyages from Southampton to Cape Town, Cape Town to Fremantle, Hong Kong to Dubai and Dubai to Southampton, can participate in a 12-day course to achieve WSET Level 2 Award in Wines and Spirits. The beginner to intermediate level course is for enthusiasts seeking a core understanding of wine and spirits. It explores the major grape varieties and the styles of wines they produce as well as important wine regions in which they are grown. Participants also learn about key classifications and labelling terminology and are given a basic overview of the key categories of spirits and liqueurs. Each of the courses finishes with a multiple choice exam, and, on passing, candidates receive a globally recognized WSET qualification certificate and lapel pin as proof of their new knowledge. The debut voyage to offer WSET courses will be the Westbound Transatlantic Crossing departing Southampton on December 15, 2016. The first Round World Voyage offering WSET courses will set off on January 10, 2017 from Southampton to Cape Town. Guests can book a WSET course by calling Cunard ahead of their journey or speaking to the sommelier whilst on board. Certification - all guests who pass will be issued with a certificate suitable for framing and a lapel pin. Queen Mary 2 has one of the finest wine lists at sea. Guests can indulge in a unique collection of 484 fine wines, including the highly sought after California Screaming Eagle at $4,500 per bottle, which is to be served by the glass for the very first time. The wine list is an integral part of the dining experience on board and took over a year to be designed. Cunard has highly skilled sommeliers on board (the majority of them have a WSET Level 2 or 3 qualifications) who are constantly in contact with their suppliers and growers. Cunard’s Bar Service Manager, Edward Dieusaert and Head of Beverage Services, Anthony Habert tasted over 2,000 wines from all over the world before finalizing the perfect selection. First Growth Wine Flight: The five Premiers Crus of the Médoc are served together in an unforgettable flight celebrating their brilliance and individuality. Legendary wines by the glass: Served using the ground-breaking Coravin system which allows wine to be served without removing the cork from the bottle, maintaining wine in its optimum cellaring condition, protected from oxygen, and ready to be enjoyed another day. A unique vintage Port collection: The only one of its kind in the world. Cunard worked with the world's most renowned Port Houses to help tell the story of its history in a unique way through 46 vintage Ports each produced in a key year of Cunard's 176-year history, beginning with the rare 1840. The Cunard Wine Academy is an all sensory experience of food and wine pairings, tastings and producer master classes. The unparalleled expertise of the sommeliers combined with an approachable style make the wine tasting courses both highly enjoyable and informative for those with no previous experience to the serious wine aficionado. Lunch and Learn: Expert sommeliers from the Queens Grill guide guests through a chosen topic as they tuck in to a delicious four course lunch at the fine dining restaurant, The Verandah. Tutored Tastings: The Chief Sommelier and his team guide guests through a range of wines while educating them on a chosen topic, from the world's major wine regions, grape types and styles. 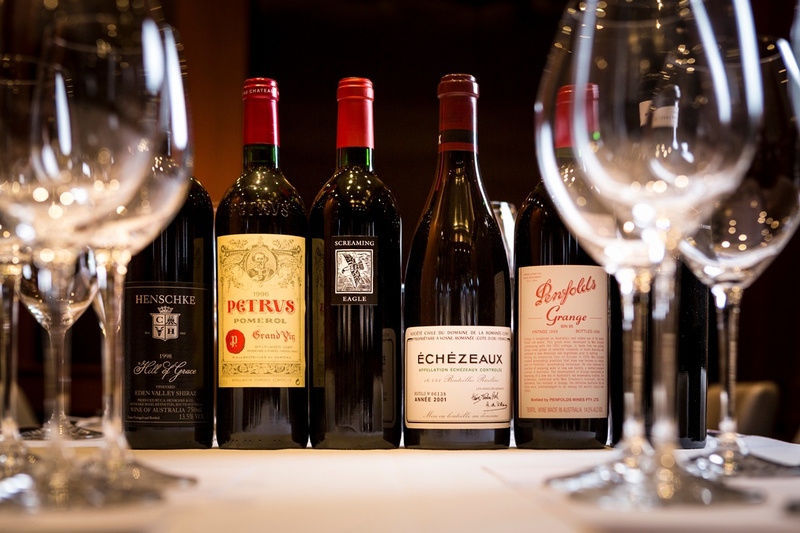 Fine Wine Seminars: Experts from the Queens Grill use state-of-the-art visual equipment and Riedel Glassware to showcase a minimum of 8 wines from the wine list and around the world accompanied by small dishes to complement the wines. Spaces are limited to 10 guests. Wine Master Classes: Leading wine experts and producers host tutored tastings and dinners on everything from wine to Sake. This year master classes will be held with George Sandeman - Sandeman Port, Beatriz Cabral de Almeida - Chief Wine Maker of Quinta dos Carvalhais, Zoe Warrington - Magill Estate Ambassador of Penfolds, Miho Komatsu - Global Brand Manager of Akashi-Tai Sake and Alvi Van De Merwe - Partner and Wine Maker of Alvi's Drift. For more information or to book a voyage, contact your Travel Agent, call Cunard Line toll-free at 1-800-728-6273, or visit www.cunard.com. 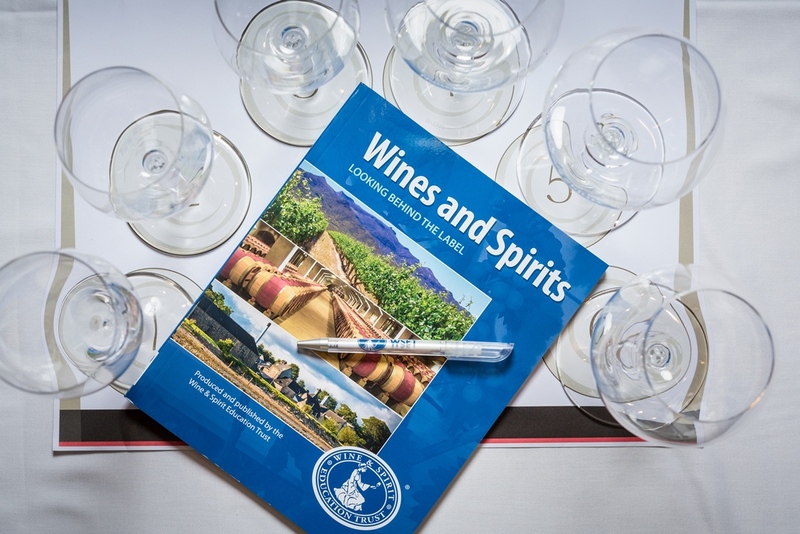 WSET is the largest global provider of qualifications in the field of wines and spirits. WSET qualifications are formally recognised by the UK Government and have a strong reputation worldwide. In the last academic year (2015/16) 72,171 people sat for a WSET qualification. Courses are available in 19 languages and over 70 countries, and are open both to industry professionals and interested enthusiasts. Since 1969 more than half a million individuals have completed a WSET qualification. We currently offer nine qualifications, from one-day beginner courses through to a specialist level diploma. Defining true excellence at sea with 176 years of legendary voyages, Cunard is the operator of luxury ocean liners Queen Mary 2, Queen Victoria and Queen Elizabeth, which are all renowned for impeccable White Star Service, gourmet dining and world-class entertainment. Cunard has been synonymous with the quest for new discoveries since the company's first paddle-wheeled steamer, Britannia, crossed the Atlantic in 1840.Today, Cunard offers the only regularly scheduled transatlantic liner service and continues the legacy of world cruising which it began in 1922. Cunard is a proud member of World's Leading Cruise Lines. Our exclusive alliance also includes Carnival Cruise Lines, Holland America Line, Princess Cruises, Costa Cruises, Seabourn and Fathom. Sharing a passion to please each guest and a commitment to quality and value, World’s Leading Cruise Lines inspires people to discover their best vacation experience. Together, we offer a variety of exciting and enriching cruise vacations to the world's most desirable destinations. Visit us at www.worldsleadingcruiselines.com.